I am currently working on a clarification of the document which is usually used by rabbis to sell chametz to a non-Jew. The version I am working with is that of Harav hagGaon Avraham Aharon Yudelewitz Zatzal, (author of Shu"t Bet Av), which is sprinkled with Yiddish phrases. 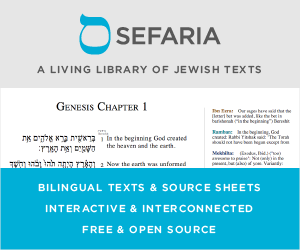 I am having difficulty translating most of them, and I was hoping the community can help me translate them into Hebrew so that the document can be better understood by non-Yiddish readers. Here are the difficult phrases. These are the phrases I am having difficulty with, and can at best guess based out of context, but I would feel much more comfortable revising the contract on solid footing. וגם עשיתי צושלאג עם הא''י הנ''ל על שכירת המקומות הנ''ל = I also made a further agreement with the non Jew on the rental of the above listed locations. סארטין מנאליווקעס seems to mean "sorts (types) of liqueur" - nalivka being the Russian word for a beverage of that type, some formulations of which, I guess, might contain chametz. I think that Dave is correct that ארסיקלען שבדרוג משארס should be ארטיקלען שבדראג סטארס - articles (items) in drugstores. I think the rest of them are pretty well covered. גרויפין usually means "gravel." In this context I'd assume "any grains or flours of chametz." Any chance it's a typo and יי"ג should be יי"ש? That means liquor. Not the answer you're looking for? Browse other questions tagged words translation yiddish selling-mechirat-chametz . Why refer to alcoholic beverages as Yash?